Bodom is Hungary's first ever feature length found footage film and also the first Hungarian film I have ever reviewed. Here at The Rotting Zombie HQ found footage don't always get a warm welcome as it seems a genre bereft of any new ideas. In 1960 at Lake Bodom in Finland four youngsters camping there were attacked in the middle of the night with only one survivor. The attacker has never been caught. In 2009 two students; Annikki and Pietari head to the lake to do a thesis about the strange murders but their trip ends with horrific consequences. 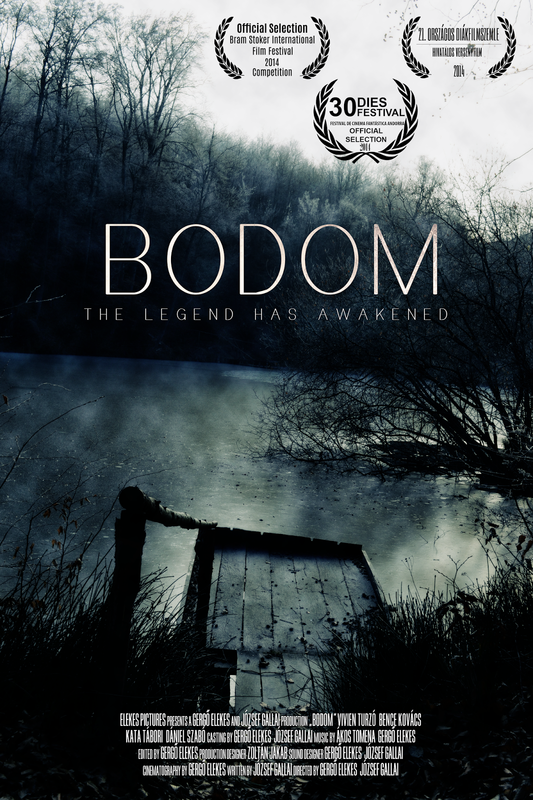 Bodom is set out like a documentary rather than just a collection of pieced together camera work. This actually made a decent change to the usual formula. Picture The Blair Witch Project but with later interviews with the friends and family of the missing people inter cut. This works in not only splitting up the shaky cam footage that can often get tiring but also works in that there is a legitimate reason for the footage to be around. There is nothing worse than a found footage film where the found footage of the piece makes no sense for existing neatly edited together. Also appreciated was the ending in which the documentary attempts to explain the events and reveals some decent information. Characters in the interviews display foreshadowing of events to come that really help create a sense of mystery. Now it is hard to judge the acting ability as it is not in English but to me it seemed to be good, it certainly never seemed like these were fake characters. The subtitles for the most part are decent, a few slight errors (such as the decision to subtitle sound effects at some points). The majority of the film has just the two characters of Annikki and her acquaintance Pietari who really do not seem to like each other even before anything sinister happens. Any conversation they have seems to dissolve into arguments and your left wondering why they even decided to go out to remote Lake Bodom together, especially when it appears that there may be a reason from their past why they really should not be together. These arguments make them seem more real. At 65 minutes in length Bodom does not have time to get boring or stale. The usual format for these things takes place with around the first 45 minutes nothing sinister really happening at all. There is a slow build to the terror which suddenly occurs. The plot and reasoning behind what happens is drip fed and is never fully explained and on some levels makes no sense but I felt leaving questions behind made for a more atmospheric story regardless. For once it seems that the reason for the madness may not be supernatural in origin that I felt was a good decision. This is certainly from the 'people lost in woods' side of found footage and not the 'demonic possession in rich peoples house' type. The flip side to this build up is that there isn't really enough time for the pure horror part of the film to shine in full and some plot elements seem a bit tacked on. I liked the documentary format of the film, I liked the overall plot and the playing with audience expectations. Bodom looks crisp when it needs to, looks rough when it needs to be (I love how an explanation for abrupt camera cuts is given), and the fact that the Bodom murder from 1960 the students are researching actually happened in real life was a nice touch. This film is not going to keep you up at night with fear, nor can it be said to be completely original (lots of shaky cam and night vision for instance) but it is competent and enjoyable regardless and so is worth a watch.